Tadgh Leader picked up rugby at the age of five where his dad was his coach and he played with this two brothers. The athlete spent three years (2011-2014) with the professional side of Connacht Rugby, moving on to represent the United States with Lindenwood University at the Red Bull World Uni Sevens in 2016 in Bath, England. In 2017, Leader Captained the St Louis Royals to a National Championship before joining San Diego Legion in 2018 as Captain for the inaugural Major League Rugby season. There, Leader finished the season as the team's top try scorer and led his side to appearances in the first ever MLR Playoffs. 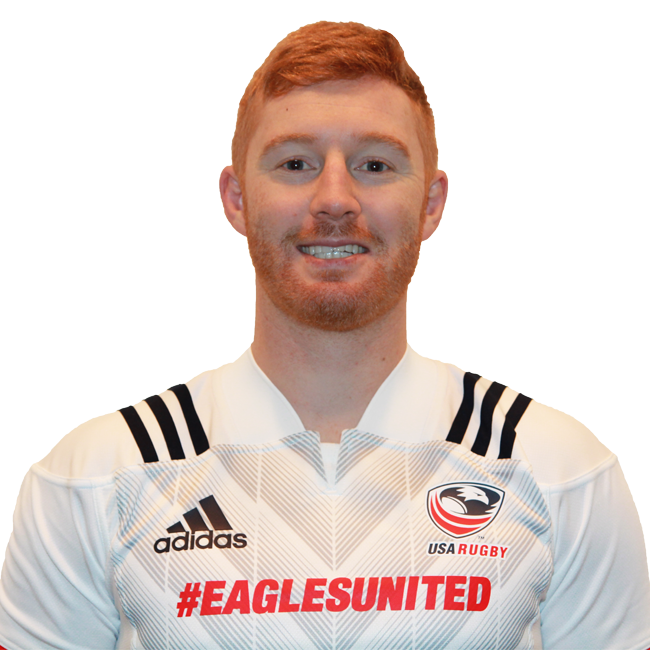 In early 2019, Leader earned his first cap with the Eagles (15s) against Chile in the Americas Rugby Championship 2019. He also scored his first try off the bench within moments of his debut. He owns a Bachelor's Degree in Sports Business from Lindenwood.